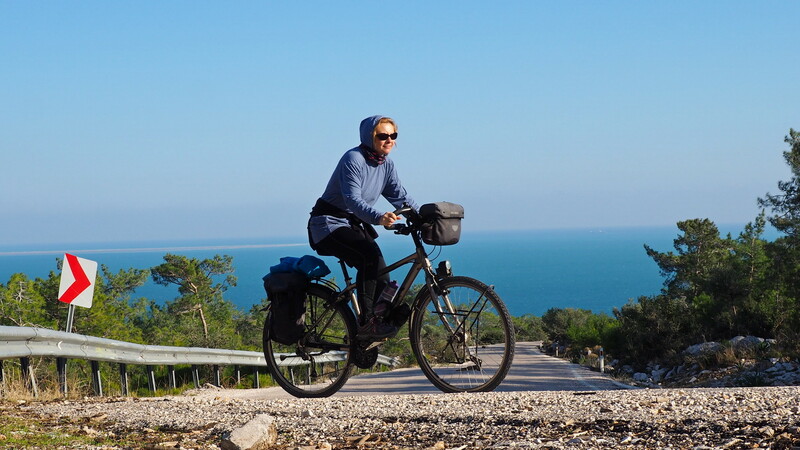 In the meantime, I met a cyclist from Turkey, who was going in the opposite direction, that is Cyprus. We drank teas and chatted. I slept there, in the teacher’s house (Teacher)! He said pointing to a nice new hotel building on the seashore. When you arrive earlier, you have the cheapest rooms, a 35 L to (7 USD). Because it was raining, I was tired, in Cyprus I was sleeping in the tent mostly because it was not cheap there and I did not want to pack in a night bus, I was attracted by warm shower, warm room and sleeping so I deided to stay overnight in this nice ogretmenevi (To be honest, I already knew in the summer that the cheapest accommodation in Turkey is offered by the Teacher’s Houses, but in the summer in all of those I arrived to, were full). Bicycle winter clothing - what works the best for me? ← Bicycle winter clothing - what works the best for me?